This windowless room is ideal for the single traveller. These bedrooms are circa 7sqm with en-suite showers and televison. Our Single rooms sleep, one person. 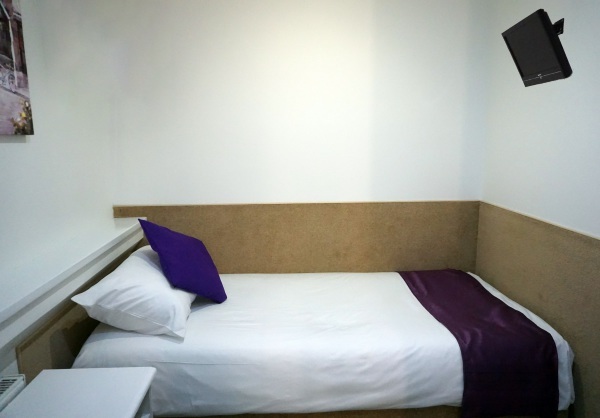 Around 7sqm, these rooms have single beds and the same high standard as larger rooms. Complete with TV and Shower Room. The location is an ideal appointment for all types of guests. This windowless room of at least 11 sqm, offers our guests a fresh contemporary design with TV, en-suite wet rooms giving each room a modern twist. This room includes a flat-screen TV with up to 50 channels. The en suite bathroom has a shower. The room size is of 14sqm. 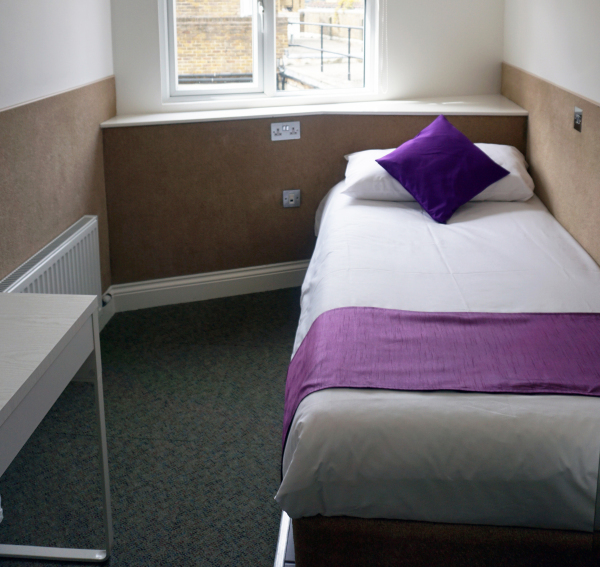 A Standard Double Room is very similar to a Single Room with a wet room in most rooms. 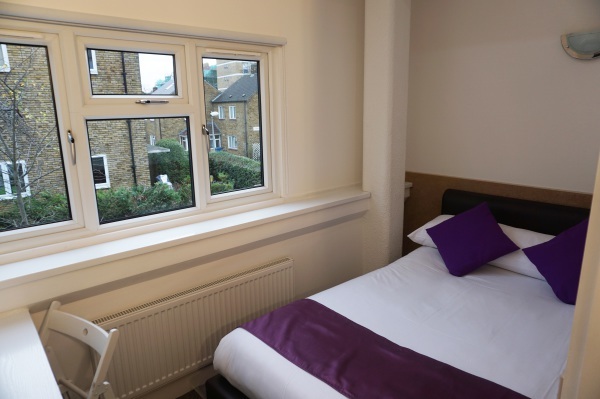 These rooms are suited for two people sharing one bed. These stylish rooms with desk workspace and TV are compact, 11 sqm circa, and are great for city visitors. With a walkable surface of at least 15 sqm, a deluxe double room is a larger room than either the single or double rooms. 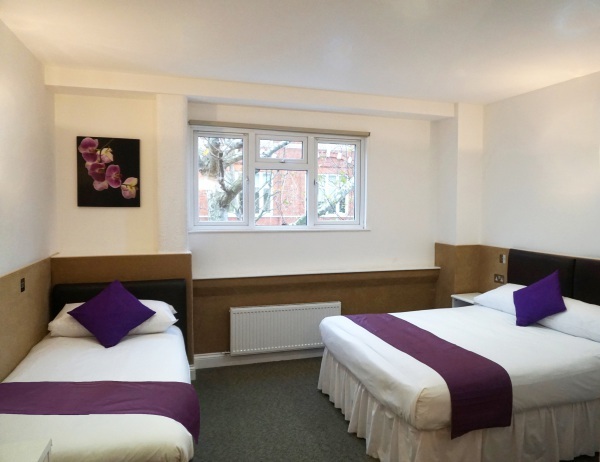 These rooms are suited for two people sharing one double bed (or two single beds on request). It is well suited for holiday makers looking to spend longer than a weekend, or for those simply looking for a bit of luxury with a shower or bath on request. 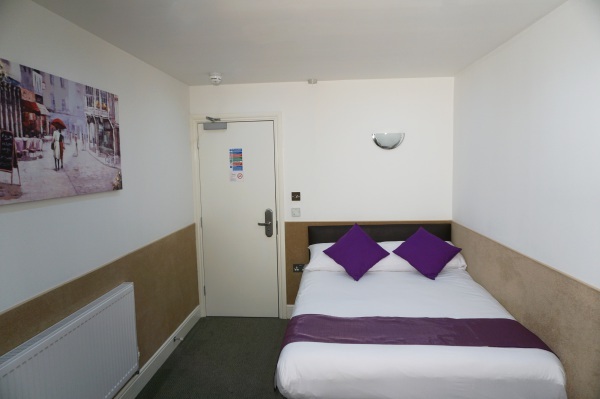 This windowless Triple Room sleeps, three people. 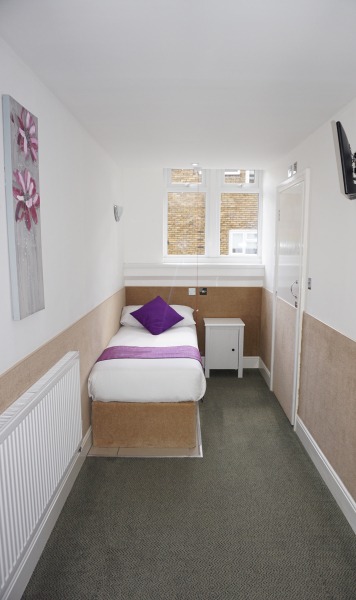 These 21 sqm rooms have good proportions, are quiet, private and ideal for a family stay in London. 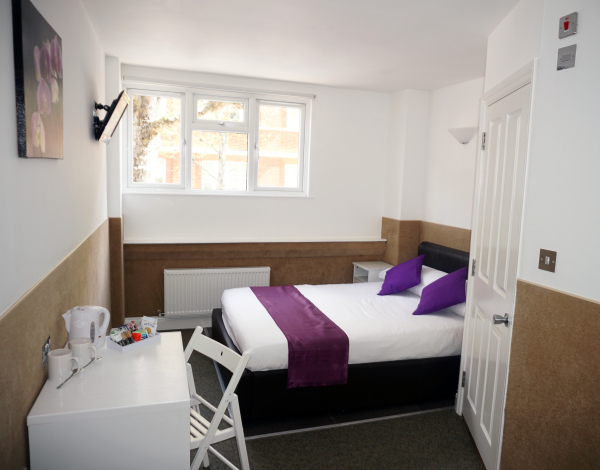 With it's 21 sqm, our Triple Rooms are a family sized accommodation. 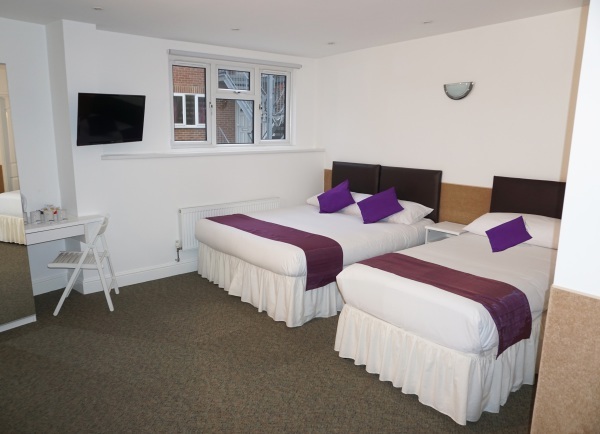 Rooms are a good proportion with TV, quiet, private and ideal for a family stay in London. 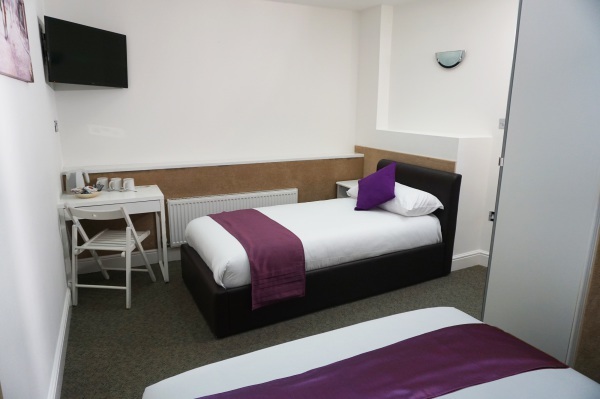 In all our bedrooms you’ll be able to settle into 100% pure cotton bed sheets to let the sleep arrive, in the comfort and privacy of staying at Accommodation London Bridge. All bedrooms have a television with around 50 channels. There is always totally free Wi-fi for all the visitors around the Accommodation. Hairdryers are provided in each room. These rooms are circa 27sqm and afford comfort for a family of four. The rooms are equipped with a bath with shower and flat screen TV.